Fire damage can be devastating to your home or business. Rest assured that after such a destructive experience , we’re here for you. 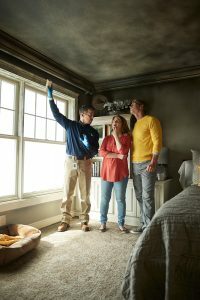 At ServiceMaster Restoration by David R. Dean & Associates, our technicians are caring people ready to get your home or business back to normal as quickly as possible, while keeping you updated every step of the way. Reacting fast is crucial. Ash and smoke continue to cause damage and corrosion to materials after the fire is out. Within minutes, walls, surfaces and other areas can be discolored. In addition to this, odors from smoke will stay on surfaces and cause problems if they are not removed. The residue left behind after a fire is a biohazard and can cause health problems if it is not taken care of correctly and thoroughly. We’ll quickly assess the damage to find out the costs for fire restoration and come up with an estimate. 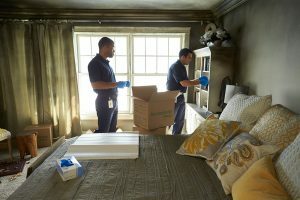 We’ll work directly with your insurance provider to ensure your home or business returns to normal as soon as possible.